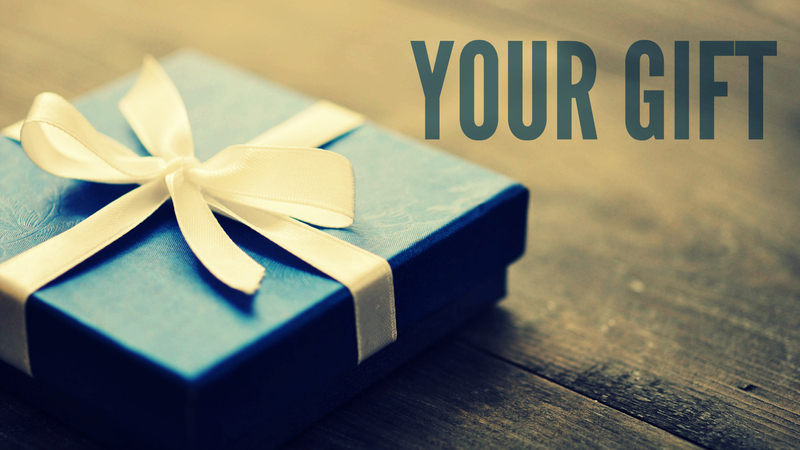 React: So, what does it say your gifts are? Do you agree? Were there any surprises? In what ways are you using your giftings on a regular basis? In what ways can you make small changes in your daily life to better use those gifts? What are some other gifts you believe you have that weren’t included in this assessment? How are you using them? I am so thankful for the diversity not only in appearance and culture, but also in passion and talent among Your people. Forgive me for the times I have jealously wished I had other gifts that might seem more important rather than appreciating where You have blessed me. Forgive me also for the times I have looked down on the gifts and passions of others simply because they are not ways You have stirred my heart. Help me to use my gifts to be a blessing to Your Church and Your world. Help me also to help nurture and develop the gifts You have placed in others so that Your health can be a healthy, growing body of love. … will come back when I have a few minutes. Be blessed. God is with you. Always enjoy your blog! Thanks for the post and the link. According to the test, my gifts are exhortation, mercy, administration, discernment, faith. Yep it nailed my gifts. Except for the gift of mercy, which these types of tests never get right because of a problem with the questions- the assumption is that if you have the gift of mercy you will seek out such people to minister to them. That is actually helps or service. Those of us with the gift of mercy tend to avoid hospitals and large groups of hurting people because it’s physically painful for us to be around them. We feel the pain of others – the way that gift works is that we’re supposed to pray for them and call attention to them not try to fix them ourselves. Exhortation healing hospitality shepherding service (mercy) but I did not find the description. Perhaps you can show me a link to that? I don’t know a good website that describes them all off hand, but this is how I understand they are meant in scripture while applied in our modern context. I am guessing you are a bit of an extrovert with a big heart, good communication skills, and leadership ability. I also checked my e-mail and the test results came with an explanation 😉 thanks! I can see all but pastor. Not sure about that one yet. The modern “position” of pastor in many ways is better suited to those gifted in administration and exhortation or teaching. The ministry gift of pastor is often better seen through ministry or home group leaders than in those carrying the title. Exhortation, tongues, discernment, faith, intercession. I never expected to be a ‘prayer warrior’ – it would have been the last thing on my heart if you’d asked me – not ‘flashy’ enough. But God did something and although I am growing in appreciation for the call I haven’t begun to use it to the full – but He is working there too. I do pray for you – God brings you to mind when I pray 😉 Bless you! Yes it is important that we know about our GOD given spiritual gifts. Also, I have taken this test more than once as the years go. I do find my gifts changing in importance as well……one might stand out more than others so remember to repeat this test every so often. Thanks for the link. There are many spiritual tests online that you can find. Blessings.